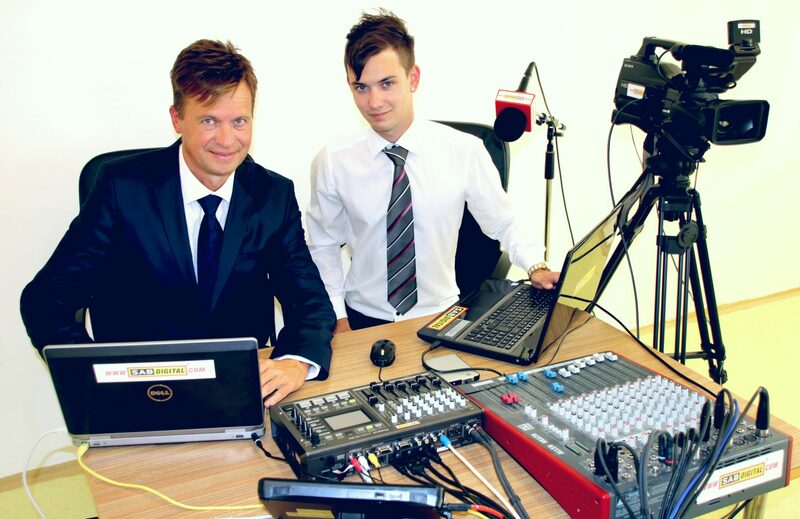 We specialize in direct broadcasts over the Internet and related multimedia services. With our stable SAB Digital brand, you can be sure of a well-done job that will greatly contribute to the development of your business in many ways. Founded on 1.1.2002, the company was originally under the name SAB Agency, which provided booking of DJs, musicians and artists. In its beginning, the Agency organized and co-organized musical and educational events. The audition was taken from the events, which was then broadcast on selected radio stations. Photographic portraits were made on the margins, for example for Kult.cz, Superdance.cz but also for Rave.cz. First Crisis Period, 2008. Due to the economic crisis, contracts began to decline. Artists’ prices have been pushed to a minimum, and most artists are starting to deal with booking alone as booking managers began replacing online ordering systems. With the new year 2008, the name changed to SAB Digital and with it the entire agency concept. Based on past experience, the agency is starting to focus only on prospective multimedia activities, and it only operates marginally. They start filming video clips for companies, doing graphic work, websites and organizing corporate events with sound and other technical backgrounds. The Industrial Property Office of the Czech Republic issued the Certificate of Registration of the SAB DIGITAL trademark. The unauthorized distribution of our trademark is subject to applicable laws.